Colin Burns is a collaborative designer, innovator, educator and entrepreneur. He is the Executive Creative Director for the BBC’s Future Media division, within the User Experience & Design team. His work focuses on the use of Design Methods to provide organizations with strategic Design, Innovation and Transformation consultancy and training. He worked as a Director of Elmwood Brand Design between 2010 and 2012, with management and client responsibilities across the UK business. PreviouslyColin worked for 7 years as an independent creative consultant through his one-man agency, Martach, and a network of associates. Colin spent much of his career working at IDEO , the international design consultancy, famous for it’s user-centred, interdisciplinary approach. Colin led a project team at Interval Research in Palo Alto for 2 years.He has been a Design Associate for the Design Council since 2004. Colin was a founder director of Public Service Design Agency, Participle. 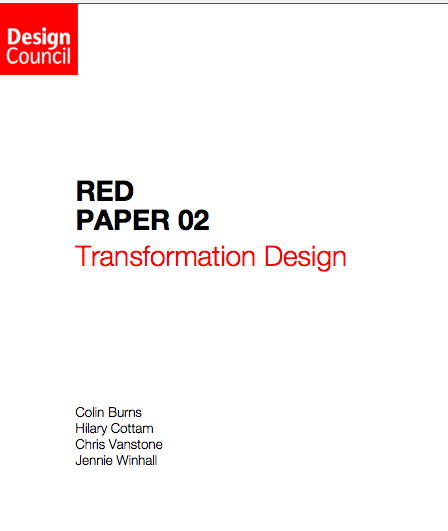 He co-authored the 2006 Design Council paper on Transformation Design wich helped shape the thinking behind the Design for Services Programme, you can download the paper here. He is an expert designer and facilitator of creative interactive workshops and is a visiting Professor of Innovation Product Design at Dundee University and at Glasgow School of Art. He studied Industrial Design at Napier University and the Royal College of Art. Specialties: Design Strategy, Design Management, Product Planning, Customer Insight, Project Management, Training & Coaching, Creative Director, User Centred Design, Product Design, Interaction / User Inteface Design, Brand & Identity.